Mark Thatcher, P.E. 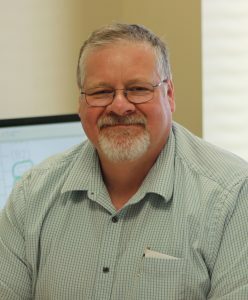 Senior Protection Engineer, Energy, Kansas City, MO Mark Thatcher, a Senior Protection Engineer for Finley’s Energy Division, has over 30 years of engineering experience in the energy industry. His experience and responsibilities include performing fault studies and calculating protective relay settings for new or existing transmission, substation, and distribution facilities, and in addition he is responsible for analyzing fault occurrences and determining appropriate setting modifications to enable proper operation. Mark is also responsible for specifying and implementing relaying schemes, involving microprocessor based relays as well as electromechanical relays as needed or required. He is responsible for project coordination for individual projects and supervises the testing of new electrical distribution facilities. Mark can be reached by calling the Kansas City office at 913-601-3977.